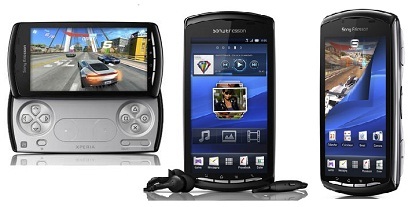 It looks can be deceiving then the Xperia Play's design is guilty as charged. This device doesn't look any different from other Android smartphones despite its game pad duality. It has an impressively large 4-inch touchscreen display encased in a glossary black finish with silver trim along its side and chic curved edges for that nice comfortable grip. The Xperia PLAY runs on android 2.3 Gingerbread so you get the easy-to-maneuver five customizable home screens and the crawling main menu that fades to black. It also offers users a faster keyboard and download management. Other features include Facebook and Twitter, text and multimedia messaging, Gmail and other email, Google Maps 5.0, voice navigation, search, Youtube, the WebKit Browser and basic tools like calendar and a calculator. The phones also comes with Office Suite for reading and editing Offcie documents. The phone also support WiFi, Bluetooth, GPS, a speakerphone and voice dialing but unfortunately, it doesn't have and HDMI port and 4G. But that's as a smartphone. To play games you either access the Xperia PLAY app on the menu or slide open the game pad. It come preloaded with Bruce Lee Dragon Warrior, FIFA 10, Star Battalion, Sims 3 and Crash Bandicoot. There's also Tetris which you can only play using the touchscreen. The gaming part was fine. In fact, what made it so immersive was the brilliant 854x480-pixel FWVGA resolution display and 16 million colors that gave deep blacks, sharp graphics, and crisp text. It's a great way to while away the time. And after a while of getting acquainted with the phone, the Sony Ericson Xperia PLAY does grow on you. You really just need to play with it.